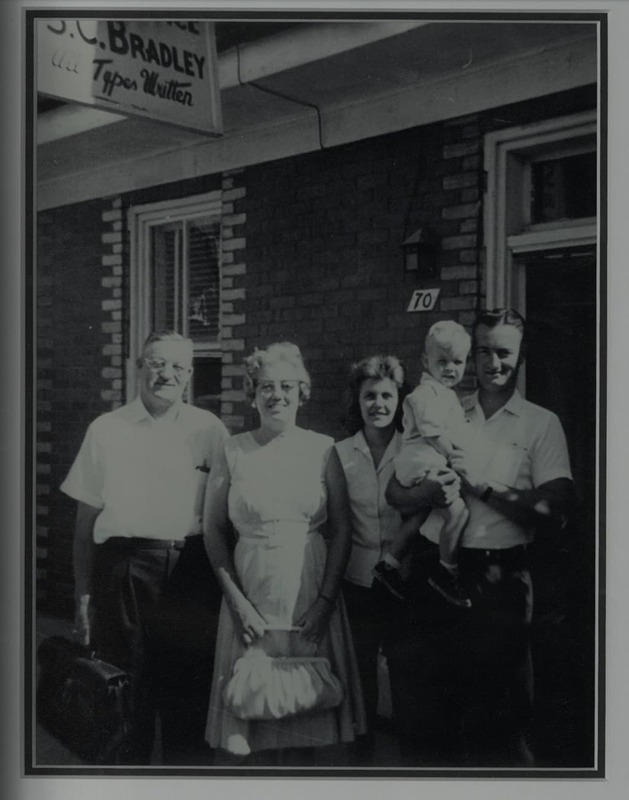 A retired farmer and long-time Stittsville resident, Silas C. Bradley was looking for a new challenge when he purchased a small insurance business in 1956 and renamed it Bradley’s Insurance. Three years later, his son, Sid joined his father in the one-room office he had rented on Main Street. Sid took over the insurance company in 1964 when an interest in local politics led Silas to pursue a full-time political career. Soon after, Sid incorporated the company under the name Bradley’s Insurance (Stittsville) Ltd. Steady growth led to the building of new offices for Bradley’s Insurance in 1975. By this time, the staff that had once included only Silas and Sid had grown to six employees. In 1983, a new generation of Bradleys joined the family business. Having graduated from Queen’s University with a B.A. Economics, Ross Bradley began working with his father, bringing new ideas, energy and vision to the growing company. With the growth of the Ottawa-Carleton Region and the arrival of regional services in Stittsville in the early 1980s, thousands of new residents moved to the area and the company grew dramatically. The explosion of the high-tech sector in the West End of Ottawa also led to a boom of new homes and businesses, providing new and exciting markets for the insurance firm. 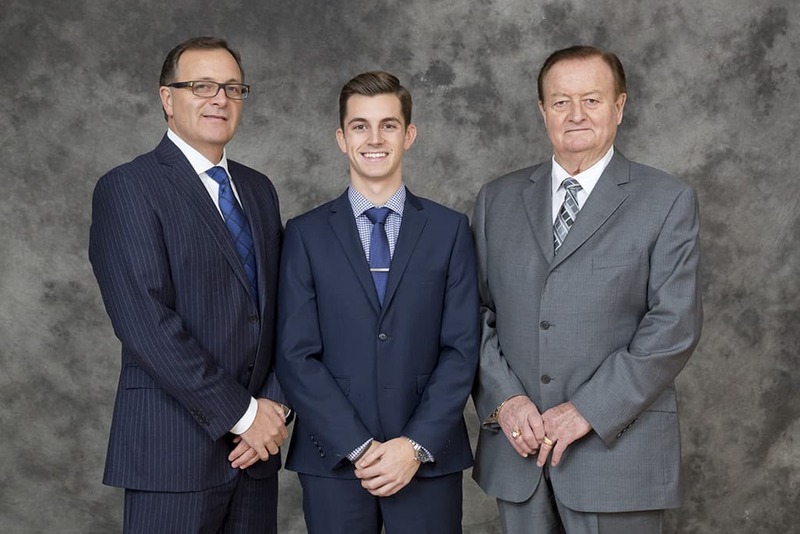 In 1998, Ross purchased Bradley’s Insurance from his father, making him the third generation of Bradleys to own and operate the family business. Today, the company has more than 25 licensed brokers and a total staff of over 35 full-time employees, all highly skilled and trained to do business in an ever-changing industry. Recently, a new services division was also launched to provide clients with a wide range of products. Bradley’s Insurance has long prided itself on providing clients with a full range of insurance brokerage services, from home, farm and auto insurance to commercial. Proud to represent the vast majority of Canada’s largest insurance companies, Bradley’s Insurance now serves thousands of clients throughout the Ottawa Valley, Eastern Ontario and Western Québec. Over the years, the company’s support of various local charities has earned Bradley’s Insurance the respect of the community at large. From sports teams and agricultural boards to charity golf tournaments and service clubs, the business has been a strong supporter of many worthy causes. Company employees also donate their time on a regular basis, volunteering with many service clubs and charities throughout the region. Today, as one of the largest and best-known insurance brokers in Eastern Ontario and Western Québec, Bradley’s Insurance continues to celebrate new successes as it rises to meet new challenges. With strong family and community roots, the company has high hopes for the future and a deep respect for the old-fashioned values that have been its foundation for almost 60 years. Founded on Trust. Built on Service. Now, Bradley’s Insurance — along with its partner Smith & Bradley’s Insurance — is one of the largest insurance organizations in the National Capital Region. Bolstered by years of experience and a highly qualified and professional staff, Bradley’s is well-positioned to manage local, regional, national and international businesses. Bradley’s will continue to grow and expand through strategic acquisitions and organic growth for many years to come. Our commitment to excellence is reflected by our entire team, ensuring long term success. We have opened a bilingual office in Orleans, East Ottawa! Assurances Reid & Bradley’s Insurance Ltd, in partnership with Bradley’s Commercial Insurance Ltd., one of the largest insurance organizations in the National Capital Region and the surrounding Ottawa Valley is excited to announce that we have opened a bilingual office in Orleans Ontario. With years of experience, our experienced insurance agents at Reid Bradley’s manages everything from home, auto, and recreational insurance for our personal insurance clientele. Local, national, and international businesses approach our insurance consultants for their commercial insurance needs. With unrivaled expertise as well as strong relationships with the highest quality insurers in Canada, Bradley’s is able to offer a unique and flexible range of solutions for all of your commercial and personal needs. 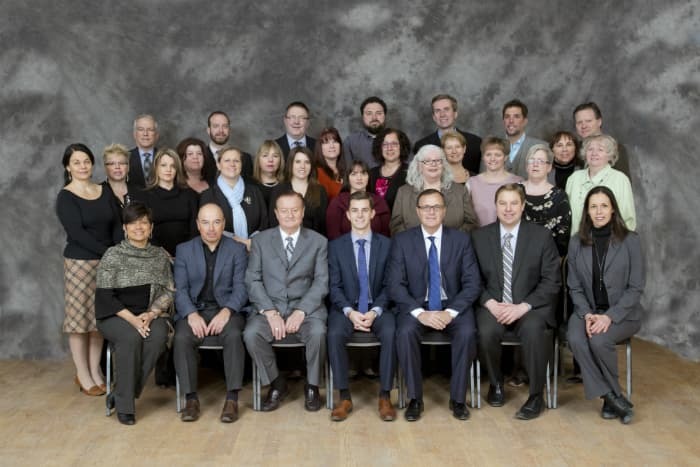 Smith & Bradley’s Insurance, along with its partners, Bradley’s Commercial Insurance and Upper Canada Commercial Insurance Group, is one of the largest commercial insurance organizations in Eastern Ontario and the National Capital Region. Whether you have a small business operation or a corporation with hundreds of employees, Smith & Bradley’s can find a great solution for your insurance needs, backing it up with outstanding service. Whether you have a small business operation or a corporation with hundreds of employees, Smith & Bradley’s Insurance will put together a great, custom insurance solution for your needs while providing the best customer service and competitive premiums. Over the years, we’ve developed strong relationships with the best insurers in Canada so that we can provide you with a variety of insurance options to choose from. If your commercial business is difficult to insure or requires unique coverage, we can help you find the best coverage for your company. No matter what your needs, we’ve got you covered.